We highly appreciate your valuable feedback on the usefulness of this website. Belgian Biodiversity Information Facility (BeBIF). The Albertine Rift is situated between Lake Tanganyika and Lake Albert. It extends from Uganda and the eastern part of the Democratic Republic of Congo (Kivu), through Rwanda and Burundi, to northwestern Tanzania. The topography and vegetation is very diverse. The Albertine Rift is indicated to be one of the mountain regions that served as an important rain forest refuge. In the Albertine rift about 5800 plant species have been recorded, with more than 550 endemic species. An inter-institutional project "Providing Access to Albertine Rift Biodiversity Data" aims to provide online access to information on butterflies, birds, cichlid fish and Rubiaceae of within this area. It is a feasibility study of the European Network for Biodiversity Information (ENBI WP 13). The National Botanic Garden of Belgium is responsible for data on plants. The Rubiaceae were selected as pilot group. For each taxon of the Rubiaceae occurring in Rwanda, Burundi and eastern Congo representative specimens were databased and imaged; when relevant, their nomenclature was updated. The label data and 'post-collection' data are made available online. The Albertine Rift is situated between Lake Tanganyika, in the South and Lake Albert in the North. It extends from eastern part of Congo D.R. and Uganda in the north eastern part through Rwanda and Burundi to north western Tanzania. The elevation varies from around 600m to more than 5,000m above sea level. As a result the vegetation varies from lowland forest and savanne to mountain forest and alpine vegetation. The Albertine Rift is recognised as an afrotropical hotspot of biodiversity (Küper et al. in press) and indicated to be one of the mountain regions that served as an important rain forest refuge for plants and animals during the last glaciation. Consequently this region has a high level of endemism for animals. 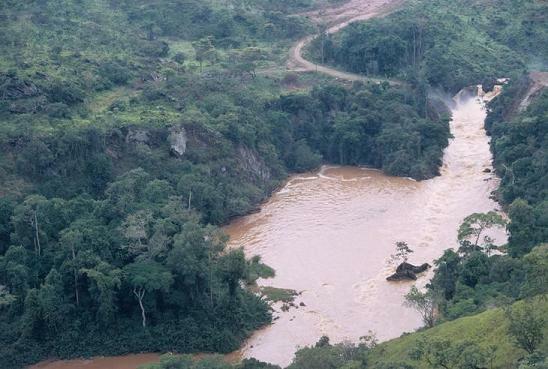 The Albertine Rift corresponds to the Kivu-Ruwenzori regional mountain system recognised in the Afromontane Region by White (1978), who estimates the endemism of the Region at 3000 species; one fourth to one third of these appear to occur in the Albertine Rift. The Conservation International reports a total of 5800 plant species with more than 550 endemics. Nevertheless, the endemism rate for animals is much higher than for plants. With ca. 650 genera and 13,000 species the Gardenia and coffee family (Rubiaceae) is the fourth largest of the angiosperms (Robbrecht, 1988). 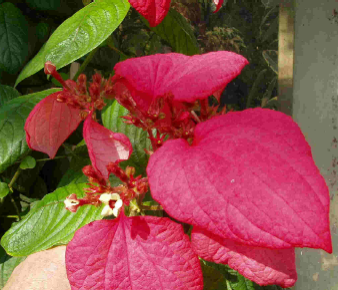 Rubiaceae are essentially tropical and woody, but one fourth of the representatives are herbaceous and some of these occur in temperate regions. It is a well-defined group, with only a few minor delimitation problems. They are easily recognized at family level by decussate, entire leaves, presence of stipules, actinomorphic sympetalous flowers and an inferior ovary. The Rubiaceae are demonstrated to contain many species useful as indicators of glaciation rain forest refugia (Robbrecht 1996). 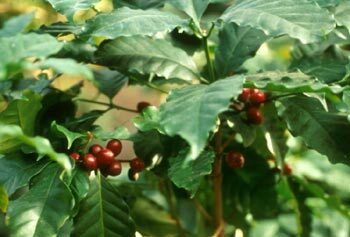 Several economically important species occur within this family with a wide range of uses: beverage [Coffea arabica, C. canephora and C. liberica (coffee)], drug [Cinchona (quinine, malaria therapy), Pausinystalia yohimbe (yohimbine, aphrodisiac), Carapichea ipecacuanha (ipecacuanha, vomitive) etc. ], paint [Uncaria ('cats claw', paint), Rubia tinctoria (paint) etc.] or ornamental [Ixora sp., Gardenia sp., Mussaenda sp., Pentas sp., Bouvardia sp., Serissa sp., Nertera sp., etc.]. More species have a potential to be used for medicine, because many secondary metabolites occur within their tissues. It is evident that many species are used for different purposes by local people. The National Botanic Garden of Belgium (NBGB) has a longstanding tradition of Rubiaceae research (Robbrecht 1993). Well-known Belgian botanists such as Camille Vermoesen, Emile De Wildeman, Jean Lebrun, Walter Robyns and Ernest Petit studied the family. All these botanists worked at or in collaboration with the NBGB. At present, morphological, systematic and taxonomic research on the Rubiaceae is continued by four staff members, with a focus on the African continent and Madagascar; several projects are carried out in collaboration with the Laboratory of Plant Systematics (Katholieke Universiteit Leuven, Belgium). An agreement made in 1885 by the state secretary Baron van Eetvelde of the Independent Congo State established that herbarium specimens from the Congo would be assembled and studied in the National Botanic Garden of Belgium (NBGB). Since this time intensive botanical exploration has been continuous . Famous early collections include Hens (1887-88), Demeuse (1891-93), Gillet (1893-1943) , E.Laurent (1893, 1895-96), Dewèvre (1895-96) and Mrs. Goossens-Fontana who from 1919 onwards collected African Fungi and made more than 900 water-colours. In 1934 the herbarium of the Congo Museum in Tervuren, Belgium was transferred to the NBGB, including inter alia the collections of Corbisier-Baland (specimen example: 837831). The period between 1935 and 1970 saw the most intensive study period for the botanical exploration in the Congo, mainly due to the activity of two institutes. The Institut National pour l'Étude Agronomique du Congo (INEAC) had a botany department undertaking a global botanical inventory, accompanied by several research stations (Luki, Mulungu, Yangambi, ...) around the country. Numerous collectors were involved in this programme (inter alia Devred, Gilbert, A. Léonard, J. Léonard, J. Louis and Pierlot). Among these Jean Louis (specimen example: 837825) assembled undoubtedly the best collection from the Congo Basin (17,000 specimens with very complete labels, all represented by two sheets in BR, collected between 1935-1939). The second institute, the 'Institut des Parcs Nationaux du Congo' made a systematic exploration of the National Parks, e.g. de Witte, de Saeger and Lebrun specimen example: 837823). As a result, many local herbaria were created in Central Africa, all having the policy to send duplicates to the NBGB, which meanwhile had become the headquarters for the preparation of a regional flora series for the area (Robyns 1948). In recent decades botanical prospecting is continued by Congolese, Belgian and other researchers, such as: Nsimundele, Reekmans, Hart, Malaisse, Schaijes, Lisowski, Lejoly, Rammeloo. Now the African Herbarium houses more than 1 million specimens from Africa South of the Sahara; about two thirds is from Central Africa (i.e. D.R. Congo , Rwanda and Burundi). It is estimated that about 90% of existing botanical collections from these three countries are represented by at least a duplicate in the herbarium of the NBGB. In 2004 the inter-institutional project "Providing Access to Albertine Rift Biodiversity Data" was launched. It aims to provide online access to information on butterflies, birds, cichlid fish and Rubiaceae of the Albertine Rift. It is a shared project between several Belgian Federal Institutes (the Royal Museum for Central Africa, the National Botanic Garden, the Royal Belgian Institute for Natural Sciences) and the Belgian section of the Global Biodiversity Information Facility. This collaboration is a pilot project (feasibility study) of the European Network for Biodiversity Information (Work Package 13). The National Botanic Garden of Belgium is responsible for the data on plants. 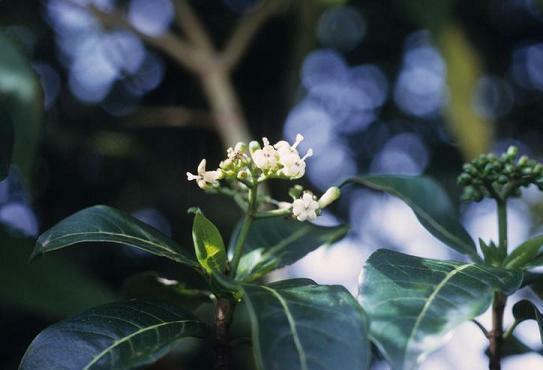 Rubiaceae were selected as a pilot group because of the large size of the family, its ecological importance in tropical forest areas, and the institutes expertise. 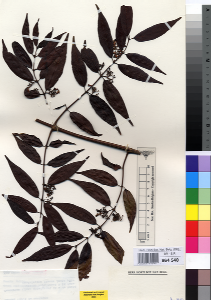 For each taxon of the Rubiaceae occurring in Rwanda, Burundi and eastern Congo (east of 25° eastern longitude) representative specimens were selected in the herbarium and these specimens databased. In additional to this the nomenclature was updated (on the base of recent revisions, the Flora of Tropical East Africa and the Flora Zambesiaca). The label data such as collection place, collection date, habitat information, vernacular name etc. are databased. This information is completed with 'post collection data': e.g. geo-references (based on the gazetteer for the Flora of Central Africa; Bamps, 1982), literature references, current name and synonyms. All this information is made available online. A selected number of specimens are imaged. For the central African part of the Albertine Rift, only two completed floras are available, the 'Flore des Spermatphytes du Parc national Albert' (Robyns 1947 - 1955) and the 'Flore des plantes ligneuses du Rwanda' (Troupin, 1982). The present project establishes the potential for updating and extending these flora. Many thanks go to ENBI. The project is financially supported by a grant of the Work Package 13 (WP 13) of the European Network for Biodiversity Information (EU funded network contract). Special thanks to Henrik Enghoff and Isabel Calabuig (co-ordinators of WP 13) for supporting us in this respect. This project is part of the feasibility study 'Providing Access To Albertine Rift Biodiversity Data', we thank the other partners of this project for their collaboration. Special thanks to Patricia Mergen, Frédéric Wautelet, Johan Duflost and Julien Cigar of BeBIF for their assistance and support in the development of actual website. BeBIF itself acknowledges the support from sub-contacting funds from this particular project in the framework of ENBI WP 13 feasibility studies and from the Belgian Science Policy for their general program. We are grateful to Dave Aplin and Elmar Robbrecht so kind for reading and correcting the text at hand. Bamps P. (1982) Flore d'Afrique Centrale (Zaïre, Rwanda, Burundi): Répertoire des lieux de récolte. Jardin Botanique National de Belgique, 224 pp. Bridson D.M. & Verdcourt B. (1988) - Flora of Tropical East Africa. Rubiaceae (part 2): 415-747. Küper W., Sommer H., Lovett J.C., Mutke J., Linder H.P., Beentje H.J., Rompaey R.S.A.R., Chatelain C., Sosef M. and Barthlott W. 2004. Africa's hotspots of biodiversity redefined. Annals of the Missouri Botanical Garden 91(4). Robbrecht E. (1988) - Tropical woody Rubiaceae. Opera Bot. Belg. 1: 1-271. Robbrecht E. (1996)- Geography of African Rubiaceae with reference to glacial rain forest refuges.- In: The biodiversity of African plants: 564-581 / van der Maesen L.J.G. [edit. ], e.a., Dordrecht, Kluwer. Robyns W. (1947 - 1955) - Flore des Spermatphytes du Parc national Albert. 3 vols. Institut des Parcs nationaux du Congo belge. Robyns W. (1948) - Préface. In Flore du Congo belge et du Ruanda-Urundi. Spermatophytes. Vol. I.
Troupin G. (1982) - Rubiaceae - In Troupin G. (ed. ), Flore des plantes ligneuses du Rwanda. Koninklijk Museum voor Midden-Afrika, Tervuren, België, Annalen - Reeks in 8° - Economisch wetenschappen - nr 12. Verdcourt B. (1976) - Flora of Tropical East Africa. Rubiaceae (part 1): 1-414. Verdcourt B. (1989) - Rubiaceae. Flora Zambesiaca 5,1: 1-210. Verdcourt B. & Bridson D.M. (1991) - Flora of Tropical East Africa. Rubiaceae (part 3): 1-956. White F. (1978). The Afromontane region. in M. J. A. Werger, editor. Biogeography of ecology of southern Africa. W. Junk, the Hague: 559-620.